You might just be saying to yourself - Christmas books already Luanne?! Well, I've had snow at my place already. And yes, I'm going to say it.....only nine weeks 'til Christmas. I absolutely adore reading Christmas stories in the weeks leading up to the 25th. And here's one feel good read you absolutely need to put on your Christmas reading list - The Great Christmas Knit-Off by Alexandra Brown. Sybil's life has unraveled - she's been jilted, left at the alter by her ex-fiancee - who took off with her twin sister - at work, she may be the one responsible for a large amount of missing money, transferred with a mistaken key stroke - and more. When her bestie takes over running a wee little pub in the village of Tindledale, Sybs decides to visit and get away from her life for a weekend. Uh huh, you know what's coming don't you? Warm, wonderful, friendly, quirky characters inhabit the village of Tindledale and Sybs is immediately welcomed. When she discovers a wool shop, she knows she's found a kindred spirit in Hettie, the aged owner. But Hettie's nephew is determined to put her in a home and take over her property. Oh, and did I mention the handsome (single) village doctor? Sybil is a character the reader is immediately drawn to - she's someone you'd love to have as a friend. The reader can't help but cheer her on as she starts to reclaim her life and move forward. There's a lovely sense of community as the residents work together to save Hettie's store. Romance of course figures into the plot - with the requisite missteps, mistakes and miscommunication. Good and bad (that nasty nephew) battle and there are many poignant moments with Hettie as her past is explored and revealed. Me? I'd love to be part of the knit and natter group. (There's also a pattern included at the back of the book for one of Sybil's projects.) Or settle in for a pint at the Duck and Puddle and catch up on the latest. Make yourself a warm cup of tea - or better yet a cup of cocoa - and settle in for a perfect, heartwarming Christmas read. (This is the first book in Brown's new series set in Tindledale.) 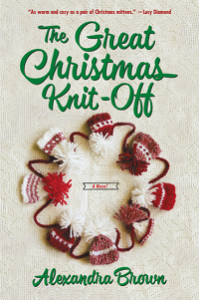 Read an excerpt of The Great Christmas Knit-Off. Alexandra Brown began her writing career as the City Girl columnist for the London Paper. She wrote the weekly column—a satirical diary account of her time working in the corporate world of London—for two years before giving it up to concentrate on writing novels and is now the author of the Cupcakes at Carrington's books. Set in a department store in the pretty seaside town of Mulberry-On-Sea, the series follows the life, loves and laughs of sales assistant Georgie Hart. The Great Christmas Knit-Off is Alexandra's fourth book and the first in a new series set in the fictional village of Tindledale, following the lives of all the characters there. Alexandra lives in a real village near the south coast of England with her husband, daughter and a very shiny black Labrador retriever. 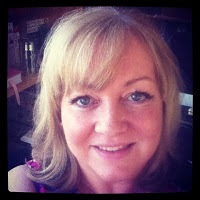 Find out more about Alexandra at her website, and connect with her on Facebook, Twitter, and Instagram. 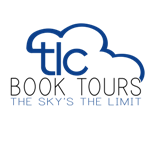 See what others on the TLC book tour thought - full schedule can be found here. I can't help but having my socks charmed off by small towns in books like this! I'm sure the reality isn't quite as cozy perfect as I imagine, but that doesn't stop me from romanticizing it! Nope, can't believe it's so close!